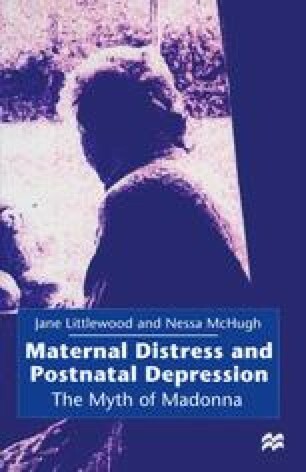 It is difficult to consider postnatal depression without looking at social and cultural attitudes towards pregnancy and childbirth in general. Whilst maternal mortality is now relatively rare and the vast majority of women who wish to deliver a live baby safely will do so, postnatal depression and maternal distress remain problems that affect a significant proportion of mothers. Historically, childbirth was once a hazardous transition that not infrequently resulted in death or debility for women, and the very real dangers involved must have affected women’s perceptions of their experiences. Also, the limited availability at this time of reliable contraception often led to closely spaced births, numerous children and general maternal debilitation (Davidoff and Hall, 1987). In addition, ‘madness’ has long been associated with femininity in general, if not with maternity in particular. Consequently, the first part of this chapter looks at some of the ways in which these issues may have clouded our historical perspective. Indeed, childbirth was seen by some religious thinkers as ‘woman’s hour of sorrow’ when, in conditions of ‘peculiar agony’ each mother would reflect upon the fall and experience her pain as ‘a lasting memorial’ of Eve’s fate and ‘an impressive comment on the evil nature of sin’.